معمر يوقع على إعلان جعل ‘القرآن الكريم’ و ‘الدستور’ فقط، والقانون الحقيقية للشريعة الوحيد في ليبيا، على 2 مارس 1977، بموافقة جميع شعوب الليبية. Mu’ammar signs the declaration making the ‘Holy Qur’an’ the only ‘Constitution’, and the only true-Sharia law for Libya, on 02 MARCH 1977, by consent of all the Libyan peoples. THE RATS have captured Hannibal Gaddafi and severely beat him-up !!!!!! The statement is true, and unfortunately this Toukiath Show her even in previous statements .. This statement of sealing and index was sent a copy of it to the Ministry of Foreign Affairs. Media: ‘Information Division of the Internal Security Forces’ took Hannibal Gaddafi. The son of Libya’s Mu’ammar al-Qathafi has been freed after being briefly kidnapped by an armed group in Lebanon, security sources say. Hannibal Gaddafi appeared in a video aired late on Friday on local al-Jadeed (anti-Hezibollah) TV. “I’m in good health, I’m fine, comfortable and no one should worry about me. I am with people who fear Allah and have a cause, and they are loyal to their cause. Therefore we should respect them for their loyalty,” Gaddafi said. “We should understand and appreciate these people who have suffered by telling the truth about what happened [to Imam Moussa al-Sadr]. The world should learn to be loyal like the supporters of Imam al-Sadr, unlike those who defected and ran away and left the imam to face his fate. IMAM al-SADR was murdered by the late ‘CIA operative’ who infiltrated the ‘GREAT JAMAHIRIYA’ early-on, Musa Kusa, after having a brawl with him (TOTALLY without Mu’ammar al-Qathafi’s knowledge, who thought Imam al-SADR went on to Rome). Hannibal Gaddafi says that his brother Saif al-Islam is the one who has the full details of the Imam Moussa al-Sadr file.Though in charge of the process, to hide the chest, is the pioneer Abdul Salam skins, according to the new channel for the Lebanese. 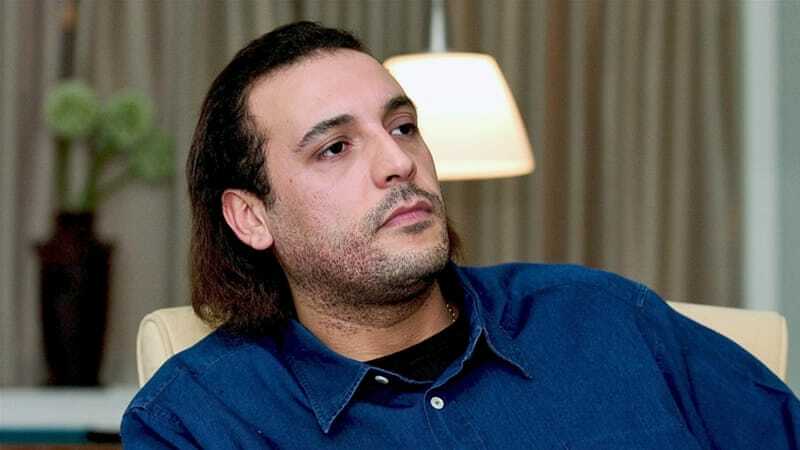 al-Jadeed TV reported that Gaddafi was kidnapped by men associated with the ‘Amal Movement’. Gaddafi was freed in the city of Baalbek and dispatched to Beirut, the capital, police told the Associated Press news agency. It was not clear when Gaddafi, who is married to a Lebanese woman, was kidnapped. Hannibal, born in 1975, was among a group of family members – including al-Qathafi’s wife Safya, eldest-son Mohammed, daughter Aischa, with their wives and surviving children- who escaped to neighbouring Algeria after the fall of Tripoli in 2011. The first shots of Hannibal Gaddafi after he was handed over to the Office of the information to the Lebanese authorities, which in turn released him .. The video, which was broadcast on the Lebanese channel for the new Hannibal Gaddafi appeals from where he had information on the issue of Musa al-Sadr cast until it is released ..
2011 IMAGE of bodies of Jamahiriya soldiers of the ‘People’s Armed Forces’ in the GREAT JAMAHIRIYA era ..
“…there is nothing in this world deserves to see this scene of the bodies misaligned in our country ……. intervention of the West intervened island, Qatar and the Brotherhood and Odao for gasoline on the fire until Asagto former State Agmo are, and this is what happened ..
the ‘GREAT JAMAHIRIYA’, especially the head referee partner what happened, partner, he gave many poor reasons for part no small Libyans that Ahakdo it, but most of these Cano soldiers were doing their duty to their country and jobs ..
and was meeting with him to motivate and raise the morale … the war against extremist groups and ‘DAASH’ ..
‘Libya-page formal logic fight them to the Brotherhood ಠ_ಠ’, a ajouté 4 nouvelles photos. but there were signs of Ahalhalh float above the surface of the support for the Libyan Army, with all its requirements, which suffered them much by the martyrdom of ‘Col. Ali pricey’. They did not get enough support; but it seems that the ‘MAJLIS al-Nuwaab’ has realized that the solution of all problems with homeland security, lays with the Army and Police support, even Atomn home. We need strong public support for the leadership of the Libyan Army to facilitate all obstacles, for even combat troops operating on the ground with all Jhazeetha and all its requirements, especially after the committee in charge of the passage of driving on fighting axes has been enabled to see the shortcomings of the Army; so, as to be brought all the needs. Leaving 40 wounded from the army to the military hospital in Alexandria, Egypt; and 22 wounded another to Jordan, to complete their treatment. Lord heal all wounded and Aaaverm .. The Crisis Government’s Ministry of Health sent 40 wounded fighters belonging to “Operation Dignity” to Egypt to receive treatment at Alexandria Hospital. The head of the Technical Committee to treat the wounded, Sami Aql, revealed that the wounded have been sent on a flight from al-Abraq Airport to complete treatment at the military hospital in Alexandria, Egypt. It is noteworthy that the Ministry has contracted with the Alexandria military hospital, Sukra Clinic, Cartagena Clinic and Hanbal Clinic in Tunis, to treat the wounded of the armed forces, who cannot be treated in Libya. Tunisian Army raise the level of alert along the border with Libya and pushes military reinforcements to the border, including tanks and artillery, as well as flying intensive aviation turbofan. and for representatives of Tripoli RAT parliament and the GNC Congress in Sfax of Tunisia, to clarify what resulted in a tour conducted yesterday and decided to expand the presidency to 9, and the final signature of the agreement on 16 December 2015 .. The draft final statement of the participants in the so-called ’round to Libyan dialogue’, which was held in Sfax of Tunisia yesterday evening, 10 December 2015. Key discussion: Yesterday, Libya’s rival parties met in Tunis for talks on a disputed United Nations-brokered deal backed by the international community to set up a PUPPET unity government in Libya. 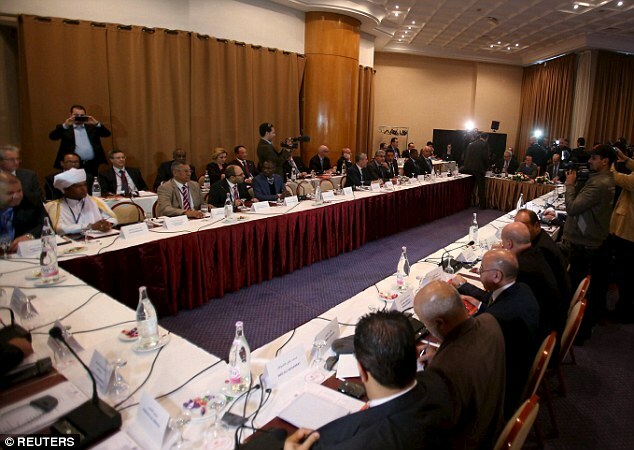 The UN envoy for Libya, Martin Kobler, and representatives of the TRIPOLI rat Parliament, took part in the discussions at a hotel in a Tunis suburb, with foreign diplomats invited as observers. UNO’s Mr Kobler, who only took over from his predecessor last month, said he felt ‘very encouraged’ by what he heard in the talks, adding that the parties would meet again on Friday. The discussions come at a time of growing international concern that the ISIS Wahhabi group has been exploiting the chaos in Libya to take root in the country. Central Bank of Libya announced commissioning research department to secure the banking institutions operating in the city. Protection against negative phenomena such as trade currency. Head of CID Benghazi, ‘Colonel Salah al-Huwaidi‘ met yesterday with banks operating managers in Benghazi and discussed the work and coordination between the banks and criminal investigation mechanism as discussed in the Appropriation to limit currency smuggling, money laundering and corruption in the credits and financial remittances mechanism. ‘Central Bank of Libya’ announces new paper currency put in circulation categories of 5 and 10 dinars on Sunday, 13 December 2015. TRIPOLI’s RAT Parliament House session and vote on the basis of ending the mandate of Shoaib and resolve his committee and to form a committee of new dialogue!? The Allaotunai (GNC) Conference Rixos disowned turn “al-Mkhozom” and says that he has still Matnfzt demands and continuing to al-Arah movements .. They and their predecessors in Tunisia Atsafhawwa Aomeish Haninin their faces and sweet sugar, and we as a people without understanding something mesh Ntfaragoa on al-Dhorh and Nstanoa Ptoa in the United Nations and say Henw seen and decided to forgoe ‘salvation’ ! Rat ‘Rixos Conference’ attendees disown his name and says he does not represent only themselves and they were not authorized the signing of any agreement .. The return of the child ‘Albertaa captivating companion’ to his parents (who was abducted two days ago by an armed group who surrounded their grandfather’s car, in the OS area, and kidnapped Abertaa). Armed militia had burned the administrative and financial offices at the University. An armed group stormed the residential units under construction in the city; and the municipal council invite the residents surrounding to evacuate. and Hftar said Hftar House ‘Mansour Khalifa’ … did not mention to what happened in his area at ‘Khatatba’…his brothers Qah. 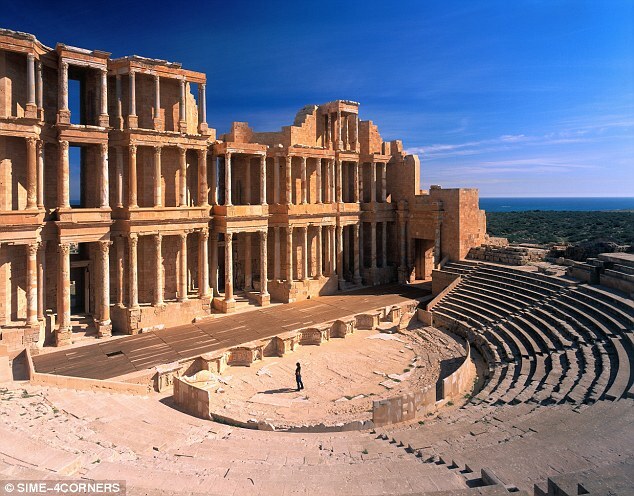 Fears are mounting that Islamic State terrorists could destroy an ancient Roman site in Libya which they have seized in their march towards the capital Tripoli. 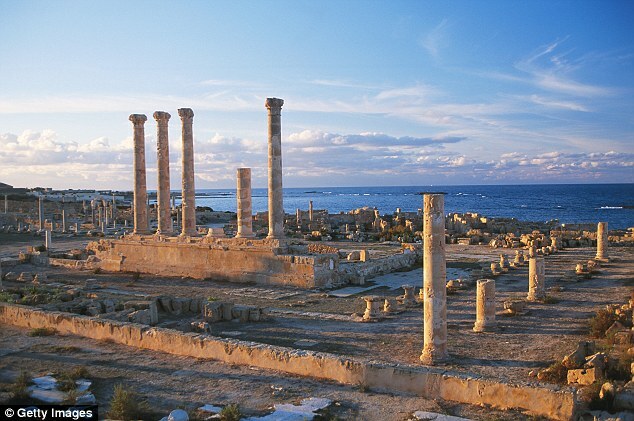 ISIS fanatics travelling in 30 pick-up trucks stormed the coastal city of Sabratha on Wednesday night after three of their men were captured by a rival militia for Tunisia. Black-clad militants overpowered residents and set up checkpoints in the city, which is just 50 miles from Tripoli, before DAASH’s success in retrieving the three men. 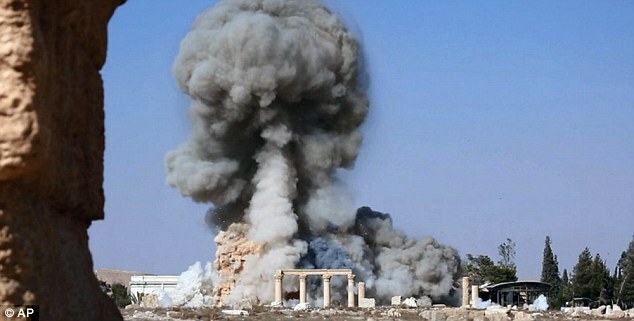 Temple of Baalshamin: In Syria, ISIS has already blown up historic sites at the Unesco world heritage site in Palmyra, including temples, columns and sculptures which the Islamist group claims depict ‘false idols’. There are now concerns that the priceless landmarks in the city, a Unesco world heritage site, will be destroyed by ISIS, including a 3rd-century Roman amphi-theatre. In Syria, the group has already blown up historic sites at the Unesco world heritage site in Palmyra, including temples, columns and sculptures which the Islamist group claims depict ‘false idols’. Photos of the committee in charge of the meeting of the General Command, headed by ‘Brigadier General Omar cuneiform’ and ‘Brigadier General Ramadan Attia’. Allah is with our leaders in the hubs of the city. ‘Colonel Nice Bouchmadh’ issued a ‘Thunderbolt special forces command’ decision to form special units to assist in the security of men in the city of Benghazi, in lieu of the terrorists’ murders, arrests, and kidnappings occuring. Thus, he saw the need for further security within the city. Emergency faction of the class managed to Sunday, from the dismantling of a hand grenade was planted at the door of a home area wires in the city of Benghazi. Siraj said Tira spokesman class military engineering – in a statement to the ‘Libyan news agency’ – that the house where the bomb was planted by a return to align themselves to terrorist groups, pointing out that the house was inhabited by one of the displaced families. A spokesman for the military engineering class and explained that the residents of the neighborhood found a bomb planted in front of the house when he came out of his home in the early morning hours, pointing out that student occupants of the house not to open the door. He pointed Tira, that emergency faction received a phone call from philanthropists, and the force moved immediately to the scene and managed to dismantle the bomb without causing casualties or damage. He added that the process is likely to be linked to one of the relatives of the terrorist person owner of the house, especially after allowing a displaced family of clashes regions to exploit home until end of military operations in the fighting axes. The emergency faction morning to dismantle a hand grenade was planted at the door of a home area wires, and states that the house back to a align themselves to terrorist groups have been exploited to house displaced families to end the military operation in their area. ‘Libya-page formal logic fight them to the Brotherhood ಠ_ಠ’, a ajouté 6 nouvelles photos. The police station and central support Qaminis, held at the matinee gathering of police and security personnel of the Central Qaminis area at the headquarters of the police station Qaminis to develop a tight security plan to secure the area fully. According to ‘Colonel Nice brown’, the head of the police station in Qaminis, that the police unite and make an effort in order to achieve security in the entire region. my Lord bless you all and grant you success for the good of the country and the people of Salah .. Call the Ministry of Health ..
Head of the department of pharmacy and medical supply Benghazi Medical Center, Dr. Joseph Osaidh Erhim reported “that there is a severe shortage of medicines in the center, especially chemotherapy drugs, glands, nerves, heart and tumors. In a statement to the Information Office of Benghazi Medical Center Head of the department of pharmacy and medical supply Benghazi Medical Center explained, “that the acute shortage of medicines led some patients to sell their homes to go abroad for treatment. Erhim said, “has been in the past to provide a small amount for nearly 1000 injection of insulin to Benghazi Medical Center Pharmacy is not enough to cover the need for less than a month, note that the center is working on the Benghazi and the eastern region fully added Erhim” There is a severe shortage of anesthesia and sugar Injectables and intravenous solutions, as there is a shortage in medical supplies in emergency departments therapeutic, and this situation is catastrophic in the failure to provide the necessary medicine even ones such as painkillers as anti-virus and others, led to the death of some cases located in the Department of CCU Care Center. Erhim sent “a stern warning to the ‘Ministry of Health’ that the ‘Benghazi Medical Center’ suffers a catastrophic situation regarding the lack of medicines, it may be forced to lock the center of running out of medicines pharmacy. has now finally completed its maintenance work for network lighting. – The official position of the ‘MAJLIS al-Nuwaab’ concerning the so-called Tunisia-Agreement which has been advertising, (of-which took place in Tunisia), will be at the official meeting of the Cilsthalnwab in the event to take place next Monday. – The ‘MAJLIS al-Nuwaab’ (‘COUNCIL of DEPITIES’ in TOBRUK), shall not be any statement or position with a ratio of the Council as a whole, noting that all statements and attitudes are attributed to the owners and Chkhosm official capacities. The effects of the destruction suffered by the Office of the Calendar and measurement of the Board of Education as a result of being burned by an armed group days ago. No change and no power unless by Allah ..
A ‘HUNGER’ for LIBYA ! French Prime Minister, Manuel Valls, on Friday, the importance of the fight against and defeat al Daash in Syria, Iraq, and perhaps soon in Libya, where the French airline last month exploratory sorties. He pointed out that “the terrorist threat” is still there a month after the attacks, November 13, which killed 130 people and injured hundreds of others. (PICTURE) WAHHABI-SAUDI KING SALMAN and French premier Emmanuel Valls review ‘friendly ties and commoradity’ ! The French army reconnaissance sorties over Libya last month, especially over the stronghold of the “Daash” in Sirte, and plans to perform other missions, according to information published by the French presidency last week. And aircraft launched from carrier “Charles de Gaulle”, which sailed from Toulon (southern France) in the November 18, and the first carried out reconnaissance and intelligence have a mission in the region in the 20 and November 21. 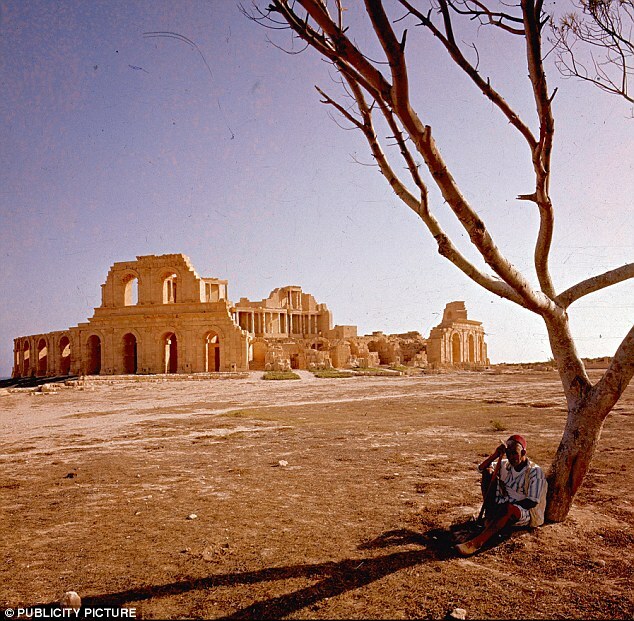 Westerners fear of rising influence of the “Daash” in Libya, what threatens Europe and Africa directly, but they are currently excluded any intervention in this country. According to the AFP news agency, it is the extreme of the organization between 2000 and 3000 fighters in Libya, according to the United Nations, including in 1500 in the coastal city of Sirte, about 450 km east of Tripoli. Mrtbton as extremists took refuge to al-Qaeda were expelled from Mali since the French military intervention in 2013 to the far south of the country at the border with Algeria and Niger. For the French army advanced base near Libya in the far east of Niger, which monitors the movements of extremists between Libya and the south coast area. In this image released by the Saudi Press Agency, SPA, King Salman bin Abdulaziz Al Saud of Saudi Arabia, right, receives the Prime Minister of France, Emmanuel Valls in Riyadh, Saudi Arabia, Tuesday,13 Oct. 2015. RIYADH, Saudi Arabia — France has signed deals worth 10 billion euros ( billion) with Saudi Arabia, said French Prime Minister Manuel Valls on Tuesday, underscoring the shared foreign policy stances that have helped deepen the two countries’ military and economic ties. Valls, who announced the deals on his official Twitter account, is in Saudi Arabia with a large delegation of French business representatives and top officials, including Foreign Minister Laurent Fabius and Defense Minister Jean-Yves Le Drian. France’s Foreign Ministry said in a statement that the deal includes the start of negotiations to provide Saudi Arabia with its own communication and observation satellites – something the kingdom has been coveting as it expands its regional military reach and fights a war against Shiite rebels in Yemen. The two sides also signed deals in Riyadh for billion worth of Saudi public investment in French private funds with a focus on renewable energy and signed a letter of intent for cooperation in that sector. They also signed a cooperation agreement to establish a naval research center and to increase joint military training exercises. The two countries agreed to hold another joint session in Paris next March. The visit to Saudi Arabia is part of a regional tour that included stops in Jordan and Egypt, where a billion deal for two French Mistral amphibious assault ships was signed. The French delegation, which arrived in Saudi Arabia on Monday, held talks with King Salman, Crown Prince and Interior Minister Mohammed bin Nayef and Deputy Crown Prince and Defense Minister Mohammed bin Salman in the capital, Riyadh. A French official, who spoke anonymously because he was not authorized to speak to the media, says a military helicopter deal is also expected to be signed in Riyadh. In June, Saudi Arabia signed agreements worth billions of dollars to buy 23 helicopters for the Interior Ministry, 50 Airbus jets and two possible nuclear reactors from France. The alliance between France and Saudi Arabia has grown stronger in recent years as ties between Washington and Riyadh cooled under President Barack Obama, particularly following his administration’s strong backing of a nuclear deal between Iran and the world powers. Though France was a part of the nuclear negotiations, its position has more strongly reflected Saudi concerns that the deal could bolster Iran’s influence in the region if economic sanctions are not lifted gradually. Iran and Saudi Arabia back opposite sides in the civil war in Syria. Saudi Foreign Minister Adel al-Jubeir said in a press conference Tuesday with his French counterpart “there is no future” for President Bashar Assad in Syria, who is backed by Iran and Russia. Valls, meanwhile, also met Prince Alwaleed Bin Talal, chairman of Kingdom Holding Company – which owns or manages several iconic landmarks in France, including The Four Seasons Hotel George V and the Le Royal Monceau Hotel. The French delegation additionally took part in a business forum. According to Saudi media, France is the third largest investor in Saudi Arabia and has more than 80 companies operating in the kingdom, employing around 11,000 Saudi nationals. Saudi Arabia is seeking to diversify its economy away from oil and to create more jobs in the private sector for its growing young population. A slump in oil prices has gutted the kingdom’s most important source of revenue, forcing it to run a budget deficit and draw from its large foreign currency reserves. The visit to Saudi Arabia comes after Paris expanded its airstrikes against the Islamic State group by targeting IS militants in Syria last month for the first time. 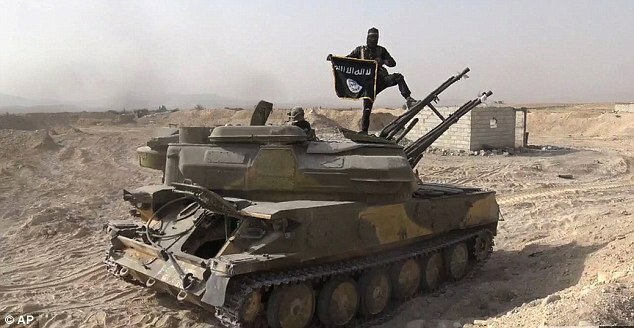 France had previously targeted IS militants in Iraq, where the group also holds territory. France and Saudi Arabia are both part of the U.S.-led coalition bombing IS. The strong alliance between France and Saudi Arabia was highlighted in May when French President Francois Hollande met with the heads of state of the six-nation Gulf Cooperation Council in Riyadh for a meeting in his honor…. So, France is going to ‘fight terrorism’ by smacking Libya, with of-course the cooperation of the Saudi Arabia and the Gulf-States !!!! Kuwait, France sign €2.5bn chopper deal – A slew of other joint agreements also linked. PARIS: Kuwait signed €2.5 billion ( billion) worth of military fixed and provisional deals led by the purchase of 24 Airbus-built Caracal helicopters, the French government said yesterday. Paris said Kuwait would purchase 24 helicopters for a billion euros with an option for a further six. The Caracal, which is deployed on combat rescue missions and long-distance troop transport, is fitted out with radar missile protection, while its weaponry includes air-to-ground and air-to-sea missiles. The agreements came a month after Kuwait agreed to buy 28 Typhoon combat warplanes from the Eurofighter consortium. Kuwait is looking to upgrade its firepower amid increased security concerns in the region linked to the rise of the jihadist Islamic State group. Further deals included provision of French light armored vehicles and patrol boat maintenance. A source familiar with the negotiations indicated that the patrol boats would include the revamping of eight P37 craft that France sold to Kuwait after Iraq’s 1990 invasion that sparked the first Gulf War in 1991. After the conflict the two countries signed a defence agreement and today Kuwaiti’s military hierarchy is largely French-trained. The French defense ministry has yet to confirm whether Paris will ultimately also supply new vessels. Yesterday’s accords were signed by a slew of ministers including French Foreign Minister Laurent Fabius and Finance Minister Emmanuel Macron in the presence of French Prime Minister Manuel Valls and Kuwaiti counterpart HH Sheikh Jaber Al-Mubarak Al-Hamad Al-Sabah. Kuwait also indicated readiness to create a €450 million fund to invest in French small and medium-sized technology and health firms, a French government source said, in cooperation with BPIFrance, a public sector body dedicated to investment. France said it will meanwhile build a €100 million oncology centre in Kuwait. US Secretary of State John Kerry will co-chair Sunday’s talks in Rome with his Italian counterpart Paolo Gentiloni. The start of the RATS’ international conference in Rome to push the parties towards the formation of the puppet Libyan government ES .. Statement of the so-called ‘Libya rebels operations room’, ‘Houb favor al-Mkhozom’s intention to impersonate a “Representative of the President of the Conference of the dialogue team”. Foreign Affairs and International Cooperation Minister of the Italian calls for the creation of conditions in order to create and promote an atmosphere conducive to the formation of a PUPPET national unity government in Libya. He explained Jantelaun in his speech during the closing of the Mediterranean Forum in Rome “We can not and we will not during tomorrow’s conference, to impose the dictates of any Libyan party, but we should and through international influential players, to create the conditions in order to create and consolidate and promote an atmosphere conducive to the formation of a (PUPPET) national unity government in Libya “. Italian minister pointed out that the International Conference on Libya must “prove that the governments and the diplomatic effort and the international community can be effective and faster and more decisive than the threat of terrorism in Libya, which has become the heart of the Mediterranean, close to our countries, but this did not allow for that risk to expand “. This conference comes a long declaration of representatives from both sides of the Libyan conflict that they will sign the United Nations settlement plan on December 16. The announcement came at the conclusion of the two-day meeting in Tunisia between members of Brotherhood TRIPOLI’s National Congress in Tripoli under the auspices of UN envoy Martin Kobler. And participate in the international conference on Libya held in Rome, delegates from the five permanent members of the UN Security Council, led by the United States of American and Russian foreign ministers, regional and countries concerned. The European diplomatic source said that the agreement reached by the United Nations last October, “a long and careful” and has the support of the rats of Tripoli, but the Presidents of the Houses Arqlah. The diplomat added that the work is now being for the formation of a PUPPET national unity “government before the end of the year” with that of several Western sources expressed skepticism about the possibility of enabling the new government of accommodation in Tripoli in the absence of tight security arrangements. It comes this international action, which led Europe mainly on the back of expansion of the organization of the Islamic state, which fall between Libya jaws mean a direct threat to the old continent. And want Europe as countries in the region in the final political settlement for full-time to meet the state regulation, and that all indications are that it approached. The United Nations estimates the number of fighters belonging to al Daash in Libya between two thousand and three thousand. An F-16 of the Air Force of Saudi Arabia. An F-16 of the Saudi Arabia Army crashed while attempting to land at an air base in the southwestern province of Lahij, Yemen. Yemeni television channel al-Masirah reported that the incident took place on Saturday morning at the air base of al-Anad, in Lahij. The aircraft has been completely destroyed due to the explosion of one of its own aboard missiles. The source has not mentioned the possible casualties of the incident. Last March, Saudi Arabia launched a military aggression against Yemen , without the backing of the United Nations (UN), but with the full ‘green-light’ and backing of the United States, in an attempt to eliminate the political sphere the popular movement ‘Ansar Allah’…. Based on the latest statistics compiled by the UN, Saudi war against its neighbor has already left some 32,000 victims , dead and wounded, mostly civilians. Just one note: It is a ballistic missile (Russian made – Sam 2) but improved and modified locally by Yemeni Engineers, so it is now the first Yemeni Ballistic missile of range 300 km and a head of 200 kgm . It’s far past the point of embarrassment, the Saudis are clear, sore losers and must live with the fact for another 3-4 generations. And they’d lost to a part-untrained, heavily under-armed army with a high sense of nationalism and pride. In this just-released video, Saudis get another one of their tanks cooked by Houthi fighters. This entry was posted in Actualités et politique, History, Mankind and tagged Cyrenaica, France, Green Nafusa Western Mountains, Italy, KUWAIT, LEBANNON, ROME, RUSSIA, SAUDI ARABIA, SOUTH LIBYA, TRIPOLI, U.K., UAE, WESTERN REGION, Yemen. Bookmark the permalink.